Aternity Mobile 10.0.x offers new functionality, features and improvements in performance. For details on the list of resolved issues for this release, see Release Notes for Aternity Mobile 10.x. You can embed Aternity Mobile in your apps to monitor their performance and report it to Aternity. You can then analyze their performance and user experience using the Aternity dashboards. Learn more about mobile app dashboards. Aternity Mobile supports Android 8. For Android 8 and later, the Aternity Mobile SDK retrieves the Device Name of an Android device in a different way. The Aternity Android Wrapper supports Android SDK versions 16 through 26 (the SDK for Android 8). Aternity Mobile supports iOS 11, including the requirement for apps to ask a user's permission to collect location data for apps operating in the background. Use the Aternity Android Wrapper and iOS Wrapper to monitor your mobile app without accessing its source code, so you can quickly start analyzing app performance and usage. Since Aternity Mobile integrates with apps, not devices, you can easily monitor usage and performance of specific apps on both corporate-owned and employee-owned devices (BYOD). View the app's performance on dashboards like Monitor Application. 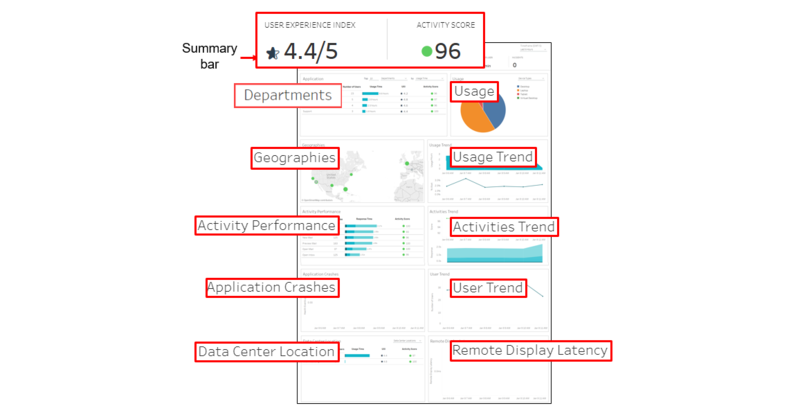 With the Monitor Mobile Apps dashboard, you can view a summary of the usage and performance of all the monitored mobile apps in your organization, including where people use them, how often they use them, their stability (errors or crashes), and their web-based performance. This data is available by default, without requiring you to create any custom activities. You can also report custom activities from a monitored mobile app by adding it as a managed application in Aternity. Aternity Mobile gives important insights into adoption, usage and performance of monitored mobile apps to app owners and developers. Analyze whether your apps provide the business value that you expected, and provide the best experience to users. For example, use the Enterprise Summary dashboard to view the usage time of an app, how many people used it, and its overall performance (UXI). If Aternity integrates with your SteelCentral AppInternals™, you can analyze how server performance impacts the responsiveness of your monitored mobile apps. 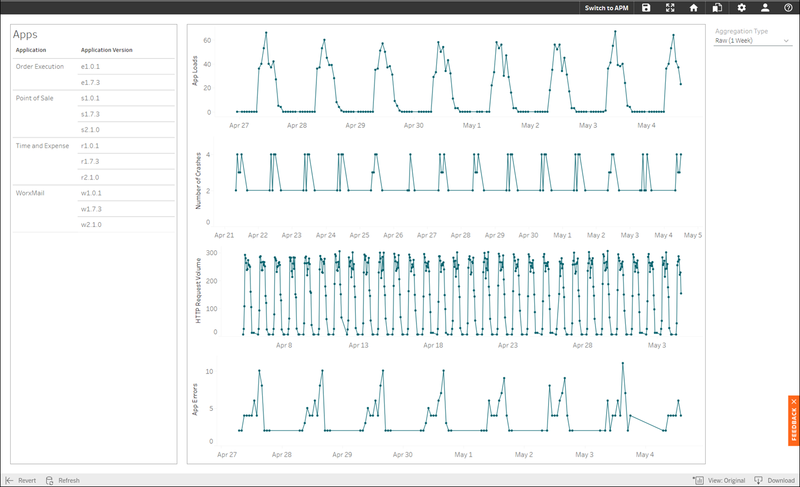 Drill down to AppInternals to monitor each call to a server's back end components.